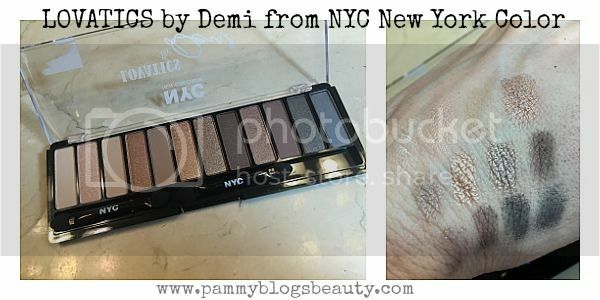 Lately, I am really loving this LOVATICS by Demi for NYC New York Color palette in #020 Natural. Ya'll know that I am a sucker for neutral shadows...and neutrals palettes in particular. Sure, I still love my high end nudes and naked palettes. However, finding a drugstore neutrals palette is a total score! Especially one that is as well organized and with such nice quality (like this LOVATICS palette!). This palette has the perfect assortment of neutral shades ranging from light to dark. You can easily create a variety of complete eye looks with this palette without having to reach for any additional shades! It is perfect for my everyday makeup. Plus, I can even go bolder and more smoky with this palette for evening looks, too. The pigmentation and staying power of these shadows is amazing, too! The collection also includes: Lovatics by Demi Lip and Cheek Tint ($3.99), Lovatics by Demi Eyebrow Liner ($1.99), and Lovatics by Demi Volume & Length Mascara ($4.99: available in black).